Will the real contenders please stand up? As mentioned last week, I learnt my lesson from last time. It is impossible to thump out a Trimester Report in one blog (especially with the World Cup finishing up and the Tour de France starting). If I was really smart I would have split this into three weeks, but didn’t want to divide 16 by 3 which isn’t nearly symmetrical enough for my liking. So there you have it. BTW I locked my comments, the ladder position and stats after round 17 for both parts of the Second Trimester Report for the sake of consistency. On to the rankings. I’m running them in reverse order. I covered teams 9 to 16 on the ladder last week. This week teams 1 to 8. Considering the Storm were heavily affected by Origin (Billy Slater, Cameron Smith, Cooper Cronk, Will Chambers and Ryan Hoffman) including losing Cooper Cronk for a number of weeks with injury, I think the Storm have done well to keep in touch with the top 8. In fact, a 4-3 record for the Second Trimester including wins against the Sea Eagles and Rabbitohs has to be considered a fair return given the circumstances. Cameron Smith – Forced to carry so much of the playmaking role in the absence of Cooper Cronk, Smith was peerless. The Storm don’t have the easiest run home with games against the Bulldogs, Broncos (twice), Roosters and Panthers. Only 4 of their last 9 are at home as well. Probably with their quality we can expect a top 8 position, however, it will be a big ask to see them return to premiership glory this season. They are looking pretty thin on the ground at the moment. I would be loathe to write them off next season though. They have a San Antonio Spurs feel about them and followers of the NBA will know what that means. For those of you who don’t, we have Google. Wow. I was particularly sceptical of the Warriors early season coaching change and said as much in ‘Coaching Hotseat – Did the Warriors do the right thing?’ going so far as to say I didn’t agree with the move. So far that is looking like a bad call on my part. 5-2 with their only losses against the Rabbitohs (with the long commute to Perth at least partially explaining the loss) and the Bulldogs. The Warriors are starting to build some momentum. Shaun Johnson – Still the star of this improving Warriors outfit, Johnson has looked decidedly brilliant coming off the back of the improved forward play from the Warriors. The Warriors are building momentum and have a fairly favourable run home with only the Broncos, Sea Eagles, Roosters and Panthers the teams of any note still left on their dance card. Add to that the fact they are playing at their favoured Mt Smart Stadium for five of those games and Johnson and Tomkins are starting to really hit form. The Warriors have a miniscule injury list as well which always helps. Provided their improved defensive effort can be maintained they are every chance of a top 4 finish (even a top 2 finish if everything breaks in their favour) and box seat for the NRL final series. Many including myself thought the Broncos would be stretched to breaking point during the Origin period, however, if anything they have played even better than during the First Trimester. Aided by a slightly less taxing Origin drain (though still heavy when compared to other teams) the Broncos also benefitted from an incrementally improving Ben Barba, continued excellence from Ben Hunt and solid play from their forward pack. It also helped that Alex Glenn, Daniel Vidot, Josh Hoffman and Jack Reed elected to play for other countries. Sporting a 4-3 record for the Second Trimester the Broncos hierarchy should count that as a great result. Ben Hunt – Continues to provide above average attacking impetus to the Broncos which is more than many thought was possible from him. Even became a fringe Origin candidate which is no mean feat. Can he keep it going? A long term contract beckons if he can. Polling well in Dally M to boot. The Broncos have an almost impossible run home with games against the Panthers, Warriors, Storm (twice), Sea Eagles, Bulldogs and Rabbitohs. If they make the 8 they will well and truly deserve it. The Brisbane public expect much from the Broncos and will be hungry for a return to the final series at the very least. I expect them to find a way to make the 8 but can’t see them doing much once they are there. Started to gain some momentum during the Second Trimester and were assisted by the non-selection of their halves for NSW hitting a 5-3 mark overall. 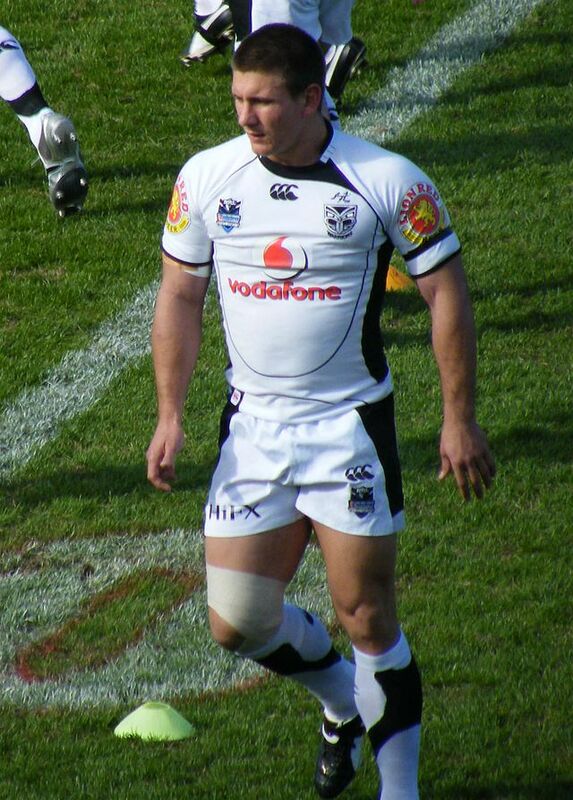 Given their mixed start to the season wins over Storm, Bulldogs and Tigers were a highlight although their second half capitulation against the Sharks was a step in the wrong direction plus they weren’t entirely ignored during the representative season with Daniel Tupou, Michael Jennings, Aidan Guerra and Boyd Cordner all earning selection at one time or another. SBW – Like the Roosters, got off to a slow start this season after an exceptional return to the game in 2013, however, as the weeks have gone by he has really started to gain momentum. Peaking at the right time he will be crucial to the Roosters 2014 finals campaign. The Roosters actually have a pretty good run home with Panthers, Warriors, Storm and Rabbitohs currently in the top 8 and 3 of those 4 games will be at home. Only three injuries at the moment with Michael Jennings expected back within the next couple of rounds and Roger Tuivasa-Scheck coming back in the same timeframe. Should be well placed to peak during the final series and a real chance to finish in the top 4. The Rabbitohs have had a very similar season to the Roosters so far including a 4-4 record in the First Trimester and a 5-3 record in the Second Trimester. They have a number of players eligible to represent other countries and also had limited impact from the State of Origin period having only lost Ben Teo, Chris McQueen and Greg Inglis. They even shared a bye in round 18. Had an easier Second Trimester draw than the Roosters and will be disappointed with consecutive losses to the Cowboys and Titans in the last two rounds. Sam Burgess – When voting went behind closed curtains in the Dally M last week Burgess had amassed 18 points which was only 1 point behind the current leaders of the competition. That is a fair reflection on his impact in every game he has played this year. He is looking to leave Rugby League with a bang. The eerie comparisons with the Roosters continue with only three players currently out for the Rabbitohs with Chris McQueen and Dylan Walker to return in the next couple of rounds. Their stellar forward pack should help them in the run home with the only question mark being whether Luke Keary (who recently returned from long term injury) and the incumbent Adam Reynolds can gel in time for the finals in the halves. The Sea Eagles, Broncos, Bulldogs and Roosters will play them in the Third Trimester so not the easiest run home but also not the hardest. The Rabbitohs (much like the Roosters) should push hard for a top 4 position and if they achieve that will hit the final series with some momentum. This could still be their year. Like most of the teams that performed well in the First Trimester against pre-season expectations (Eels, Dragons, Broncos and Tigers) I kept expecting the Dogs to slip backwards in a hurry, especially given the selection of Trent Hodkinson and Josh Reynolds in the NSW State of Origin side alongside Josh Morris and Tony Williams. Despite all of those interruptions there hasn’t been a discernible drop off from the Dogs sporting a 4-3 record during the Second Trimester, although things were looking dire during their 3 consecutive losses. They seemed to right the ship against the Raiders and Sea Eagles. Probably most importantly they have kept pace with the ladder leaders of the competition. Josh Reynolds – His continually strong form earned him selection in the victorious NSW squad this Origin series and as is often the case that extra level of confidence has proved and will continue to prove beneficial for the Bulldogs as well. I don’t think the Bulldogs could have hoped to be in a better position at this stage of the season. In 1 or 2 weeks they should have every first grade player back on deck except Frank Pritchard who is out for the season. Joint ladder leaders with the Sea Eagles and Panthers, even the run home isn’t that daunting with only the Broncos, Storm, Panthers and Rabbitohs currently in the top 8. They will be eyeing the minor premiership and anything short of a top 4 position will be a disappointment. Consistently suffering from injuries – Check. Player drain due to Origin – Check. Under pressure to keep their spot in the top 4 – Check. Refereeing controversies – Check. Coach with High Blood Pressure – Check. Losing key players for next season – Check. Situation normal for the Sea Eagles. Yet here they find themselves joint ladder leaders and sporting a 4-3 record with marquee wins against the Bulldogs and Roosters to show for the Second Trimester. Amazing. DCE – Continues to lead the Sea Eagles with aplomb along with Kieran Foran. DCE was thrust into the limelight during State of Origin when Cooper Cronk went down at the start of the first match and will benefit immensely from the experience. Despite the number of injuries suffered by a plethora of players only Glenn Stewart remains on the injured list and is expected back any time, although David Williams has been suspended due to betting infractions for the rest of the season. They are a tough, tough side and are really in the box seat for the final series provided they can keep all their cattle on the field. The Panthers have made excellent use of the representative season (with not a single player selected for State of Origin – it helps when you have 6 Kiwis in your first grade squad) to vault up the ladder and are now joint leaders along with Manly and the Bulldogs. Some of their juniors are starting to make an impact in first grade and all of their off season purchases are panning out in a big way (Elijah Taylor, Jamal Idris, Peter Wallace, Jamie Soward, Brent Kite and Tyrone Peachey). In short they had a big Second Trimester, with only an away loss to the rapidly improving Warriors the blot in their copybook (6-1). Peter Wallace – I could have given this to a number of players (in fact the leader board of the Dally M shows no less than 8 different players have polled points this year from Penrith), however, Wallace has steered the Penrith team around the park admirably this season. Penrith only have 3 long term injuries (with Peter Wallace expected back any time between rounds 23-26) and only Peter Wallace is number 1 on the depth chart for his position in terms of the injured players. Balancing this is the fact that they have one of the hardest runs home of anyone in the top 8 with fixtures scheduled against Broncos, Roosters, Bulldogs, Storm, Sea Eagles and Warriors. Having said that, they are in the box seat for a top 4 position when the finals series commences which is surely ahead of schedule as far as Gus is concerned. The League of Extraordinary Gentlemen evaluated the plan to remove the penalty shootout against the statistics of the World Cup final. Our model would have worked the same, except the game would have finished as soon as Goetze scored. If it had been 0-0 at full time, Germany would still have won – shots on target 7-2 to Germany, without going to penalties…which accurately reflects a misfiring Argentinian side. In the end they didn’t deserve to win. I thought it was a close but fair game. I thought Germany were in trouble during the first half. They looked a little rattled when Argentina counter-attacked, however, Germany looked much more assured in the second half. 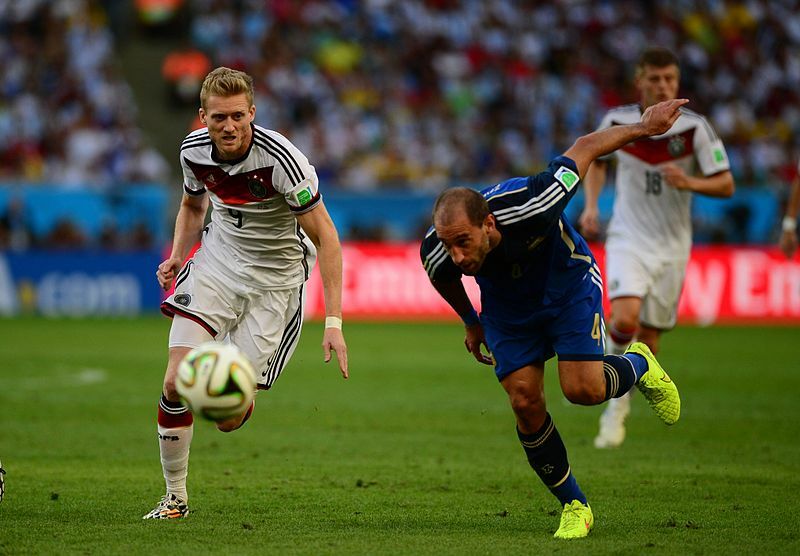 What about the Kramer and Neuer vs Higuain collisions. They were colossal. Really enjoyed the game though. 2014 – Drama, upsets and goal scoring – Goal scoring during the knockout rounds dried up except Brazil’s last 2 games – I am still a bit shocked about that. 2002 – Best time zone ever (for me) and lots of upsets – Rivaldo falling over clutching his face when a Turkish player kicked a ball into his foot – Japan/U.S/Turkey/South Korea – Plus I won the tipping pool so there’s that. 1994 – Not so much the games but because I was on University holidays and watched an obscene amount of Football – I remember Bebeto and Romario and Roberto Baggio missing a penalty in the final. He nearly kicked it out of the stadium, like a conversion. 1986 – First World Cup ever and so many all time greats were playing at that stage – Maradona, Lineker, Strachan and Platini – Argentina cheated, poor old England – The hand of God. 1998 – Probably my favourite Dutch side with Bergkamp, Davids and Kluivert – The mercurial French swept the Brazilians aside as if they were schoolboys – All Zidane, all the time. 2010 – If it wasn’t for the Vuvuzela this would be ranked higher plus never really liked Spain’s style of play – Loved the German and Dutch teams though – Very boring final. 1990 – Didn’t see one game from this tournament – Missed out on Lothar Matthaus and Roger Milla. The Tour de France is wide open this year with the number of crashes that have ruled out title threats. I miss Cadel Evans but he had a great run. Richie Porte is the new Australian hero. That didn’t take long. Dante Exum being selected in the NBA draft for the Utah Jazz and started his professional career (I went a bit World Cup crazy and pretty much missed most of the Draft coverage). I am already getting excited for the next Olympics with Andrew Bogut, Dante Exum, Ben Simmons, Matthew Dellavedova and Patty Mills. Starting to shape up as a great team. A new Golden Era for Australian Basketball? Mrs TGOS brought up the valid point that in the year Alex McKinnon was rendered catastrophically injured we are still seeing at least 1 spear tackle per game. I thought the NRL would have stamped this out by now but barely anything is being done different from last season. The NRL competition is so close that if the Cowboys win this weekend and the Eels, Tigers, Dragons and Broncos all lose, the Cowboys could jump from 12th to 8th in one round. Rise for Alex round (round 19) is a great initiative of the NRL. Hopefully it is well supported. Ditto round 21 Marvel jerseys. Dragons (Iron Man), Cowboys (Thor), Sea Eagles (Wolverine), Roosters (Captain America) and best of all the Raiders (Hulk – no not the Football player from Brazil) are all sporting tribute jerseys in round 21. I think it is an awesome idea. Corey Parker – Run Metres – 208m, Tries – 0, Try Assists – 0, Tackle Breaks – 1, Tackles – 29, Offloads – 8, Line Break Assists – 0, Line Breaks – 0 and Queenslanders playing for pride only – 17. What was your favourite World Cup? This entry was tagged Australia, Basketball, FIFA, Football, NBA, New Zealand, NRL, Rugby League, Soccer, World Cup. Bookmark the permalink.